The Sing! 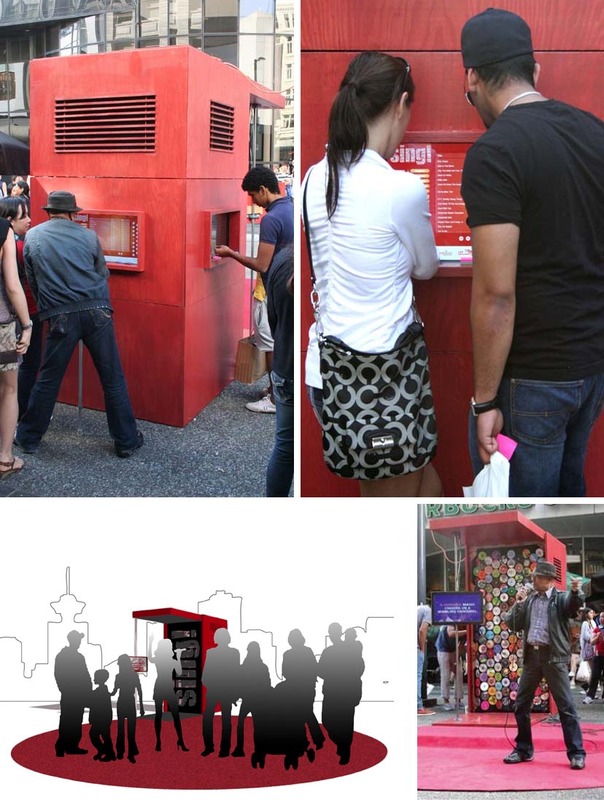 Karaoke Kiosk is an interactive multilingual installation designed by the Urban Republic Arts Society in Vancouver to encourage more interaction between the various culturally distinct communities within the city. 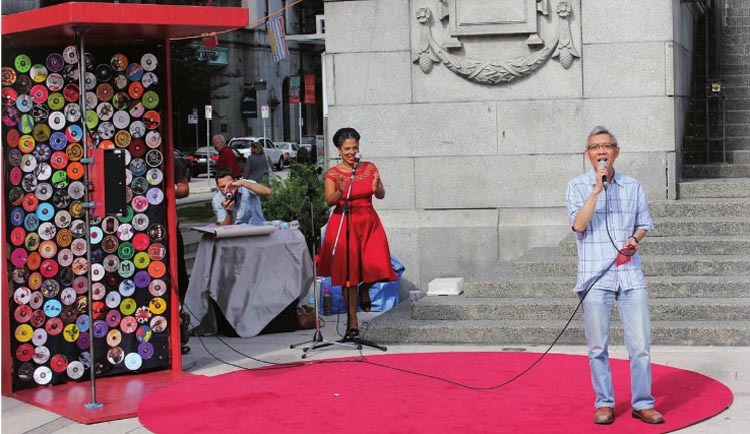 The outdoor booth allows users to choose songs from a touch screen display and sing on the red carpet to the public. The custom player offers thousands of songs in Vancouver’s most widely spoken languages: Cantonese, English, Filipino, French, Japanese, Hindi, Mandarin and Spanish. Karaoke’s cross-cultural popularity makes it a perfect choice to get everyone interacting, or at least laughing. 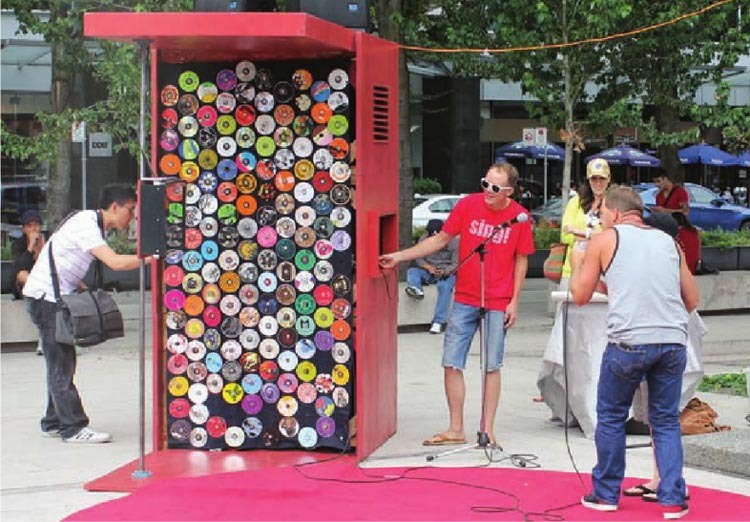 This entry was posted in Fun, Industrial Design, Interaction Design, Music, Pop Culture, Street Art. Bookmark the permalink.